Car Donation Wizard takes pride in responsible recycling of your end of life or junk vehicle. Recycling vehicles helps preserve natural resources by taking old, environmentally unfriendly cars off the road. Most end of life vehicles that get donated to charity are over 20 model years old and are typically gross polluters, with poor gas mileage and exhaust. A California study estimates that cars 13 years old and older accounted for 25 percent of miles driven but 75 percent of all pollution from cars. Recycling your old car helps transform old steel into new steel for thousands of other uses, some of which include: new cars and car parts, canned goods, structural beams for framing houses, furnaces, reinforcement bars, elevators, airplane hangars, bridges, and more! The automobile is the most heavily recycled consumer product. Automotive recycling keeps highways and roads clear of abandoned and disabled vehicles by providing a place to deposit these vehicles. Most of the parts and materials in a car are recyclable. The foams and rubbers on the interior as well as the tires are recycled. Approximately 85% of vehicles metals are recycled to make new automobiles. There are also precious metals such as palladium found in the catalytic converter and copper found in the wiring. Every donated vehicle that cannot be driven or repaired finds its way into the recycling stream. This is a win-win for the charity and the environment! In 2005, 16 million automobiles were recycled, which was 98% of all automobiles! The more than 14 million cars recycled in 2000 would yield enough steel to produce 48 million steel utility poles, one third of the utility poles in the U.S.
Where does my recycled car go? 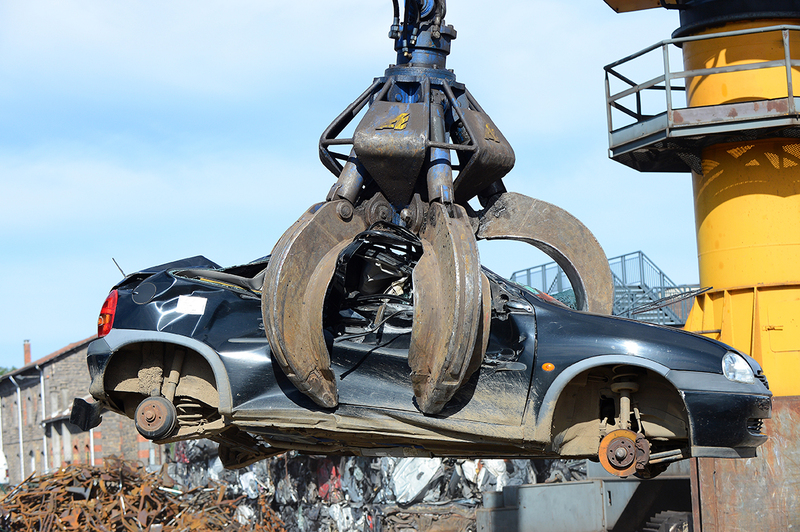 Your end of life vehicle is first towed away and brought to a recycling facility that removes hazardous materials including: fluids, rubber, reusable parts, which are removed manually and the vehicle is then crushed for ease of transport to a scrap yard. 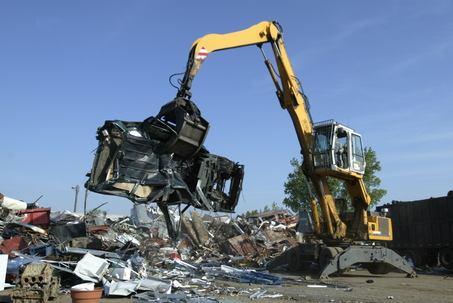 At the scrap yard, the vehicle is shredded and separated into usable and non-usable materials and re-usable metals are brought (most times by barge) to larger steel recycling facilities. At the steel recycling facility, shredded metals are separated by a giant magnet that picks up iron and steel. Fluff and non-ferrous metal, which are not magnetized are removed and disposed of. Depending on the type of facility, the steel is then processed in blast furnaces or in electric arc furnaces and mini-mills (the newest technology), going on to produce new steel products for the consumer marketplace.